A popular sporting family has been “shamed” for milking a charity set up for poor African children, irishexaminer.com reports. 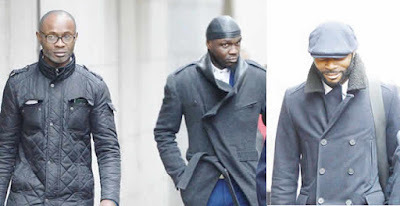 Ex-footballers Efe Sodje, 46, and Stephen Sodje, 43, and ex-rugby player Bright Sodje, 52, were found guilty and jailed for siphoning off money from their family charity, the Sodje Sports Foundation. charity in 2009 to help provide sporting facilities to youngsters in Nigeria. He sentenced Stephen, of Bexley, to two years and six months in prison, saying he lied repeatedly to the jury and was a “self-regarding and arrogant man with a strong sense of self-entitlement”. 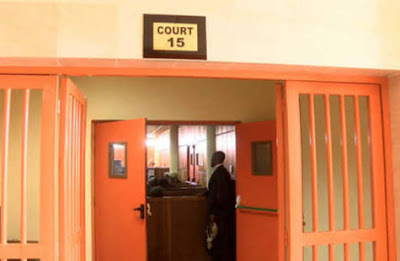 The judge said, “All three of these defendants in various ways exploited their own and their families’ reputation, not only for the benefit of the poor children of the Niger valley but also for their own benefit. “In this case, the defendants were all well-known and respected men, particularly in the world of football and sport both here and in Africa. He said, “at least £63,000 can be shown to have been received by the fund”, but added it was important to note that it did not include cash donations, and the defendants “went out of their way” to ensure that proper records were not kept. Any good works done in the past would be “forever tainted by their dishonest and disreputable conduct,” he added. In separate telephone interviews with The Punch, Bright and Efe insisted they were innocent of the charges.